“I know my house needs more insulation. What kind of insulation should I get?" This isn’t an easy question to answer. 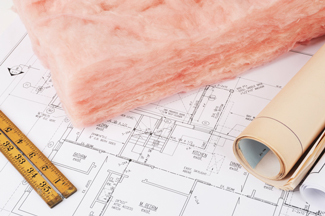 Contractors who install a limited variety of insulation materials will obviously want to convince a homeowner that they have the right insulation for different applications. But bad things can happen when the wrong insulation is used, or even when the right insulation is installed incorrectly. That’s why it’s important to get an unbiased expert recommendation about insulation from a licensed home energy analyst or from a full-service insulation contractor –a professional with access to all types of insulation. Call or e-mail us today to schedule your free quote! We proudly offer insulation in New Haven, Hartford, Bridgeport, and nearby areas such as Waterbury, Stamford, Danbury, Norwalk, West Hartford, Bristol, New Britain. Today the variety of insulation materials is impressive. We have insulation made from shredded newspaper, glass fibers, polyurethane resin and polystyrene beads. Each type of insulation has specific characteristics that make it an excellent choice for some applications and a bad choice for others. So location plays a major role in selecting the right type of insulation to use. Here are some of the variables that determine what type of insulation should be used in a particular location. R-value. The R-value, or resistance to heat transfer, varies for different types of insulation. When there’s plenty of space available for insulation (like in an unfinished attic, for example), a lower R-value material can be used because it can be applied in thicker layers. Moisture conditions. “”Fluffy” types of insulation like fiberglass batts, cellulose and blown fiberglass will absorb moisture, compress and lose R-value. Fiberglass batts (especially paper-faced batts) will support mold when moisture is present. So fluffy insulation isn’t good to use in moist areas like basements and crawl spaces. Rigid foam insulation and some types of spray foam will not absorb moisture or support mold growth. Air-sealing ability. Spray foam insulation and rigid foam insulation not only provide R-value; they also can seal air leaks to provide extra energy-saving value. This can be an advantage in certain locations. Spray foam is often used in combination with blown cellulose or fiberglass attic insulation just for its leak-sealing ability. Accessibility.Conditions in a house can make one type of insulation easier than another to install. For example, if an attic space has been floored over to use as a storage area, the easiest way to upgrade insulation levels might be to install rigid foam insulation against the attic rafters. Cost. Cellulose and fiberglass insulation is less expensive than spray foam and rigid foam insulation. To get you started on the right foot, we'd like to provide you with a free insulation estimate. We'll introduce you to one of our specialists, who can answer any questions you have and explain how you can save energy and make your house green.